This was the finest performance by this wine that I have seen since it was released. I did not expect the 2003 Chateau Margaux to show this well in a vintage where the southern part of the Medoc was clearly less impressive than the north. However, it is a beautiful, dark plum/purple-tinged effort with sensational aromatics, a full-bodied mouthfeel, and a youthfulness, precision and freshness that belie what one generally associates with this vintage. It can be drunk now and over the next 15-20 years. Kudos to Chateau Margaux. Tasted at Bordeaux Index’s “10-Year On” tasting in London. 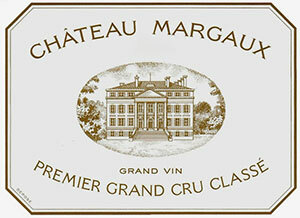 The 2003 Chateau Margaux has a lovely nose with superb delineation – blackberry, cedar, minerals and wilted violets. To be brutally honest, it is clearly streets ahead of Palmer that was tasted in tandem. The palate is medium-bodied with fine tannins and (hoorah!) a decent thread of acidity. It is not a complex Margaux, but it has personality, fine balance, elegance and admirable tension and race towards the finish. This First Growth shows its class. Excellent. Tasted March 2013.